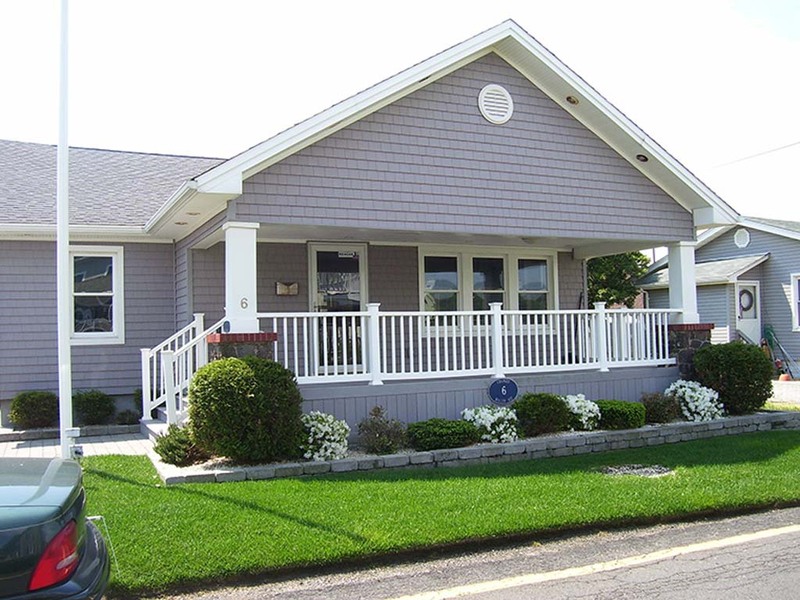 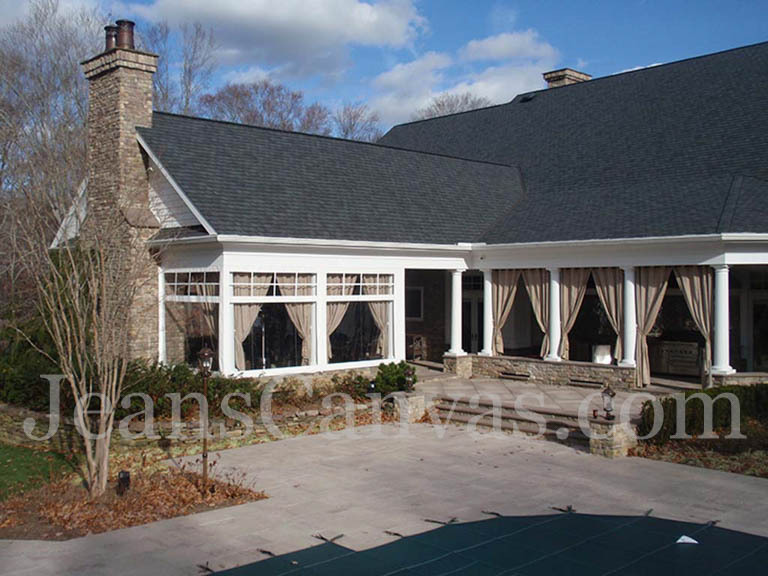 The Premium Soft Panel System is durable and attractive. 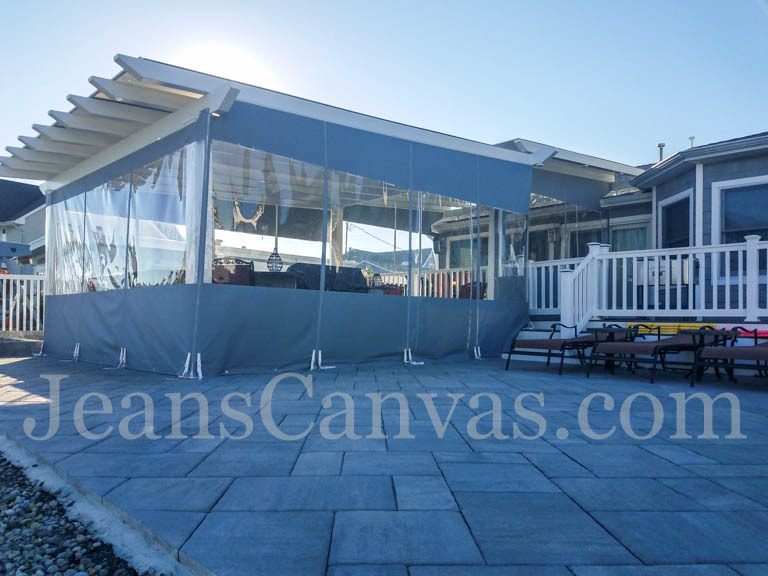 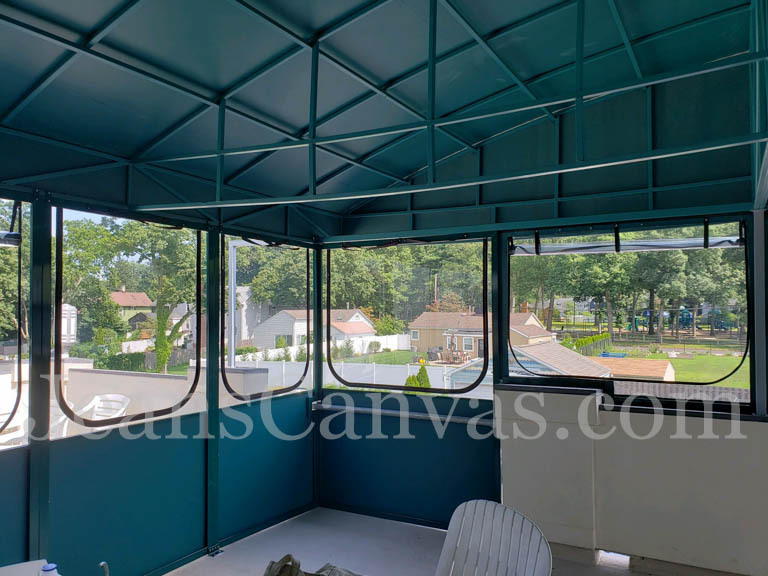 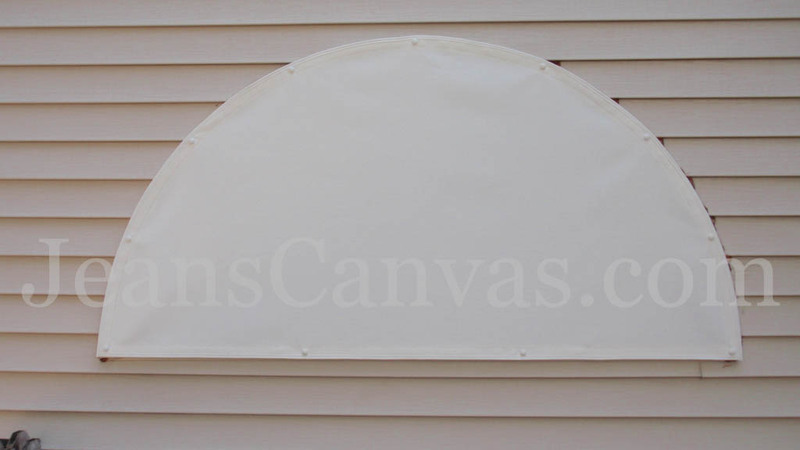 Made from synthetic canvas and 0.030 clear extruded vinyl the panels can be fabricated in various colors, combinations, and configurations. 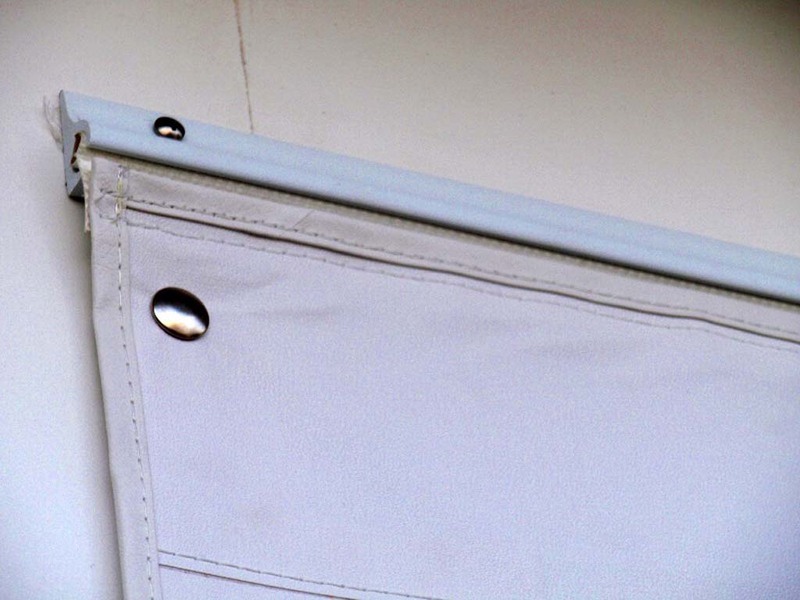 Customarily, we make the edges double ply with either snaps or grommets in any combination needed to secure to walls, ceilings, and floors. 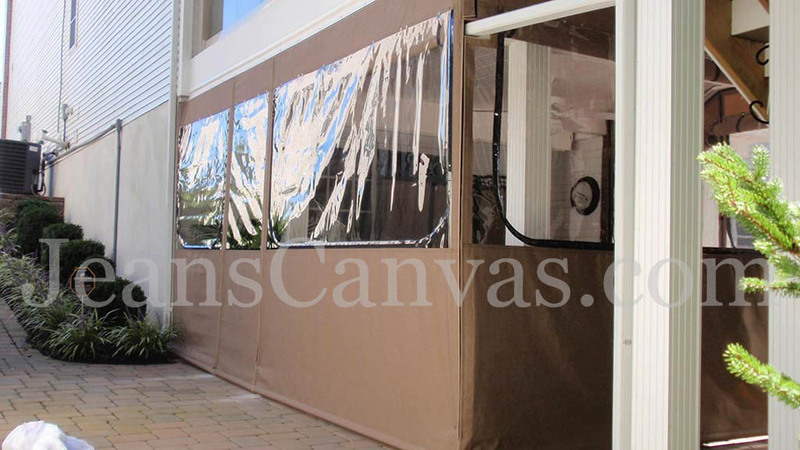 These panels can come with zipper doors and/or U-Zip windows that manually roll up and secure with straps. 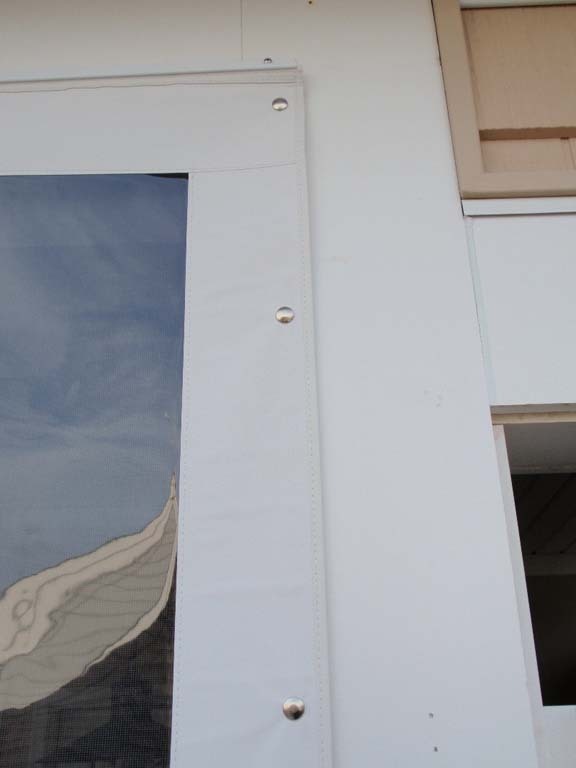 These panels can be zipped together at corners and along adjoining walls for extra air tightness. 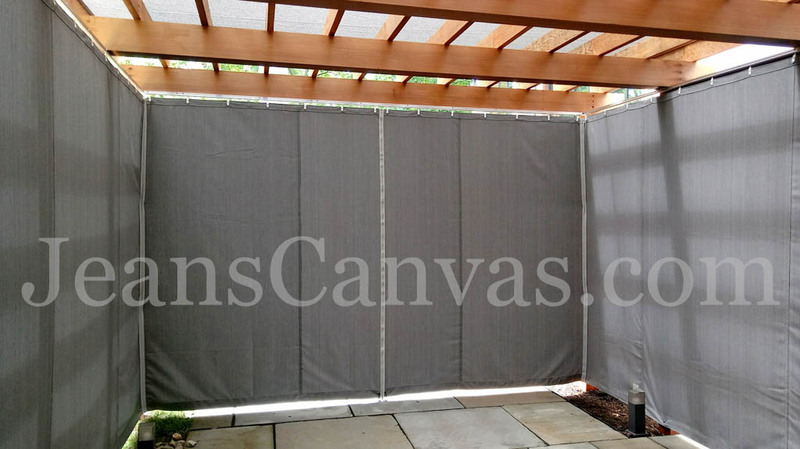 Entire wall panels can be rolled up and secured with straps as well. 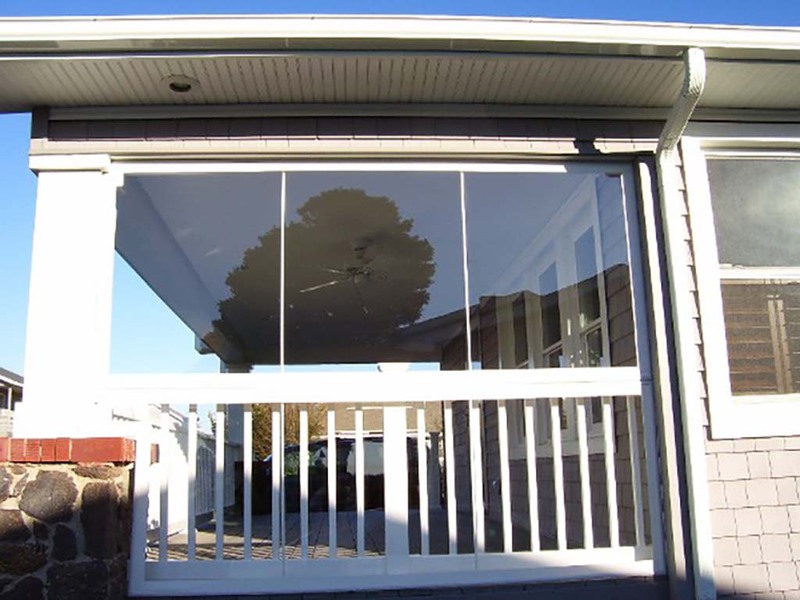 We can accommodate any special requirement like this pet door we built into this customers project. 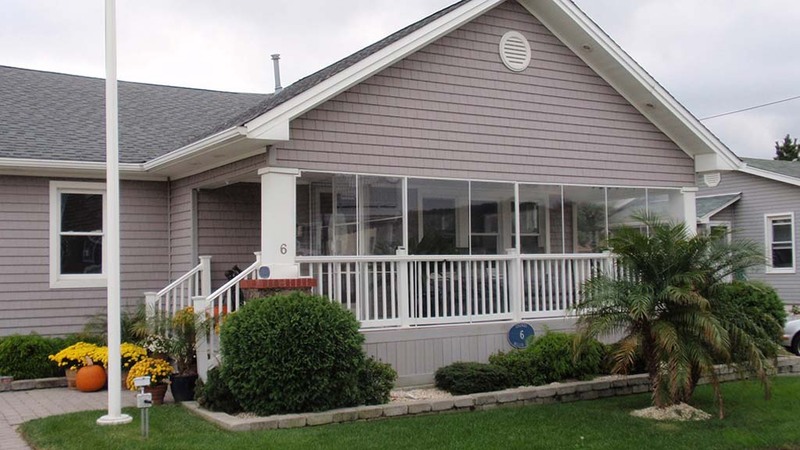 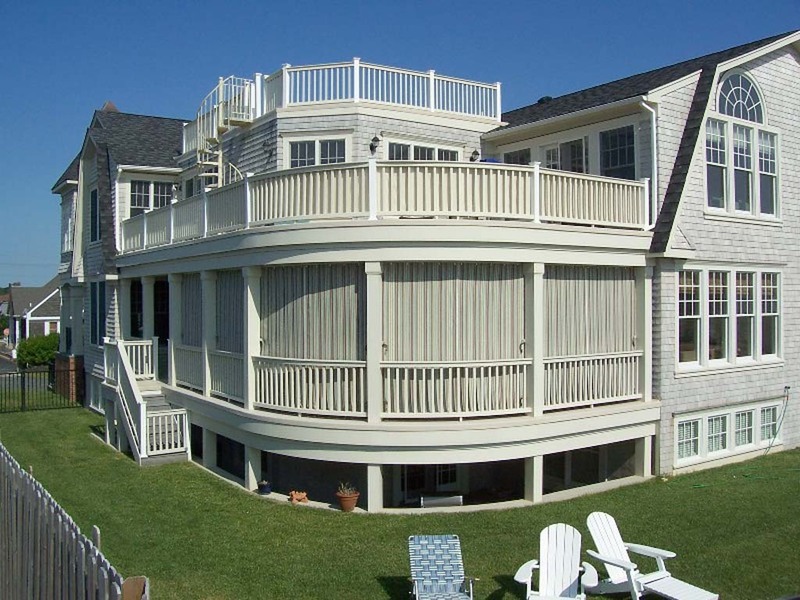 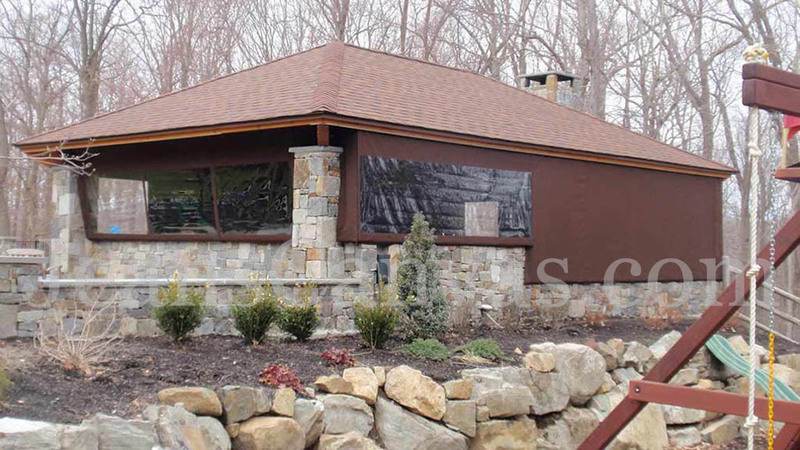 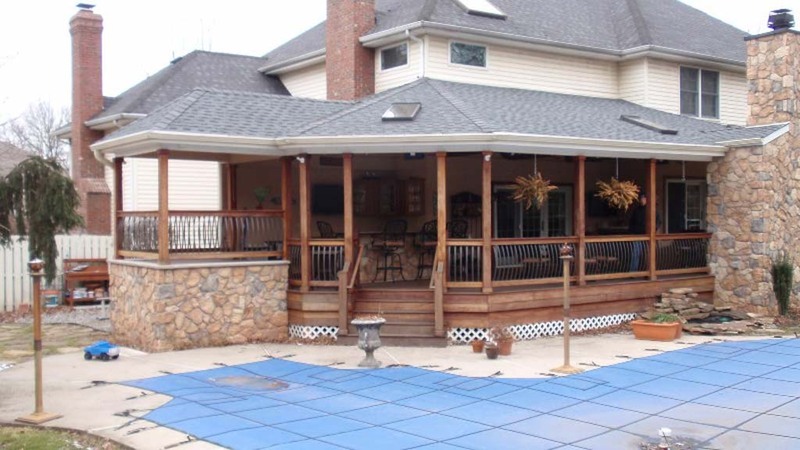 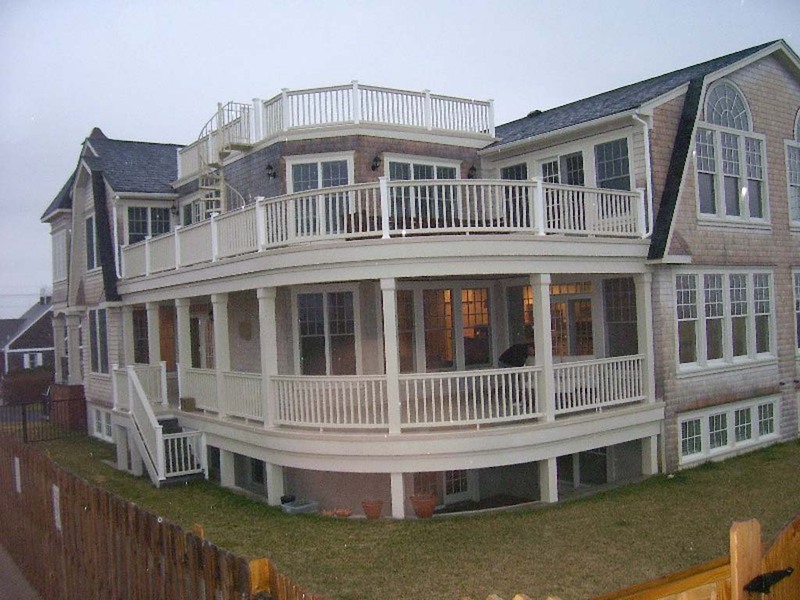 This home was fully enclosed with our Premium Snap on System so the homeowner could enjoy their whirlpool, deck bar and kitchen, year round. 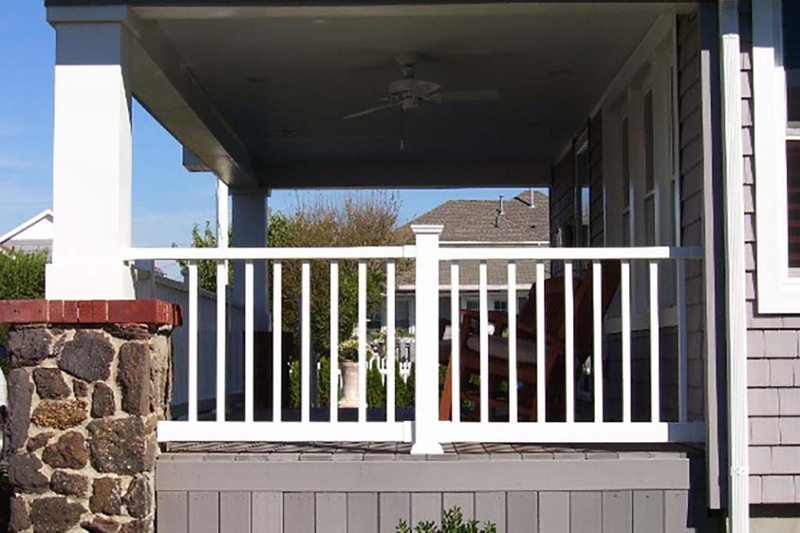 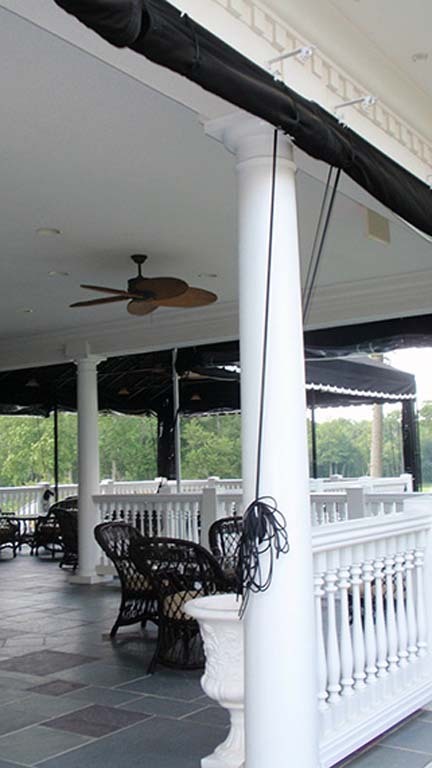 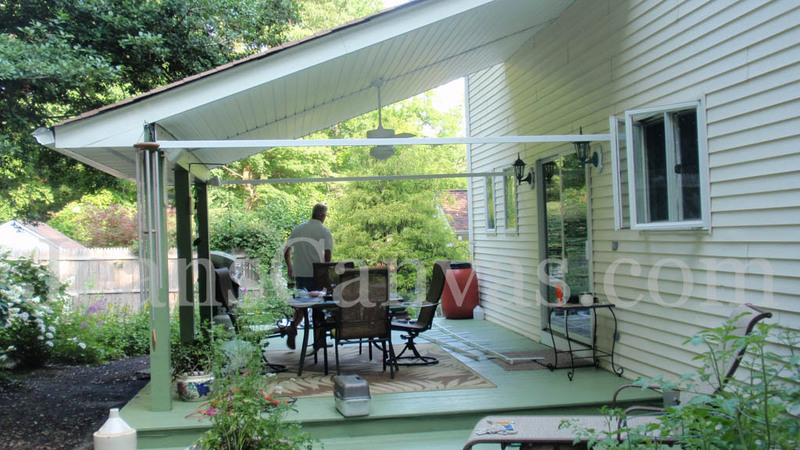 This Porch Enclosure features our Tracking System with Drapery that can be pulled along a rod or track for easy opening and closing. 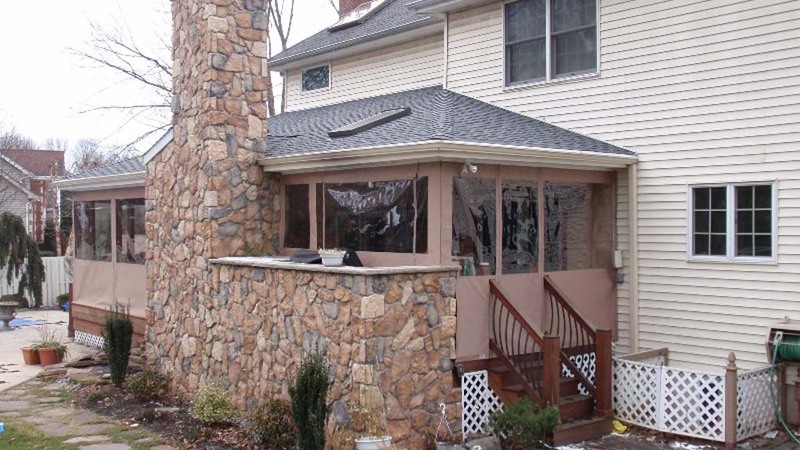 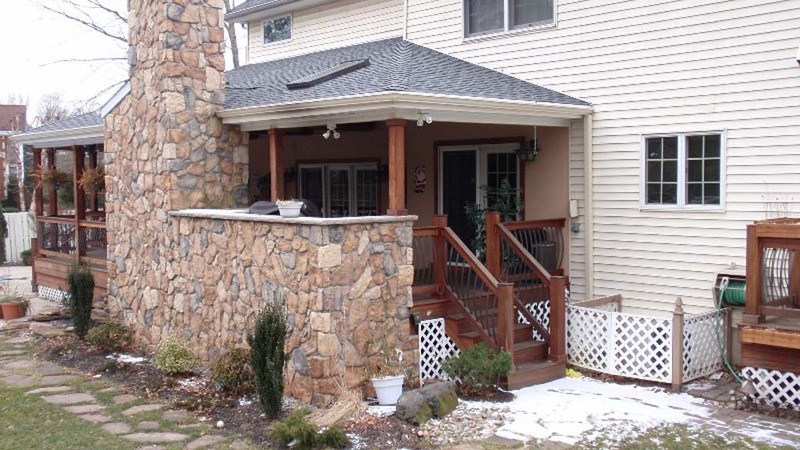 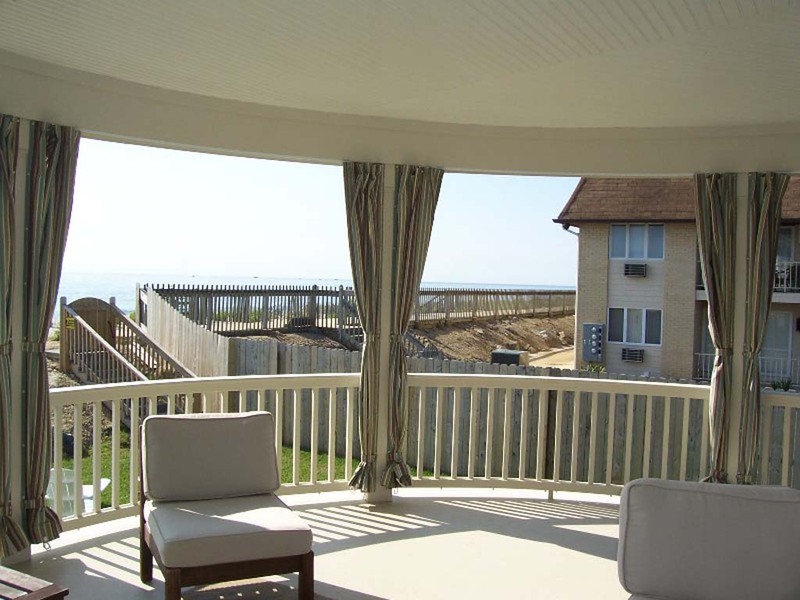 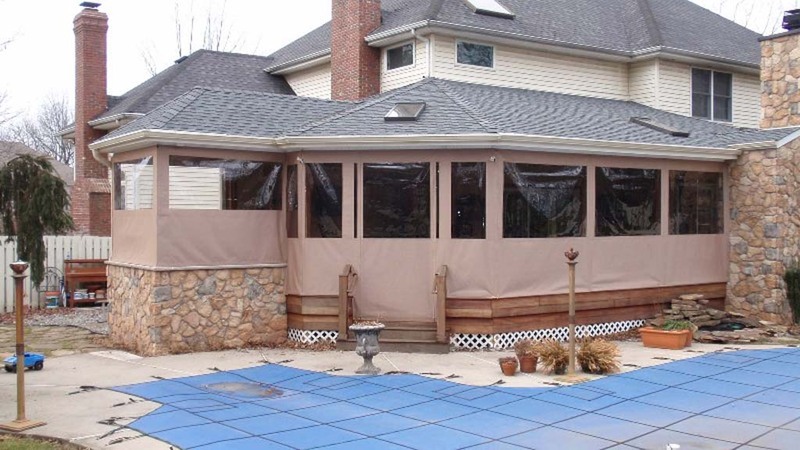 This option provides an attractive design option for both privacy and moderate protection from the elements. 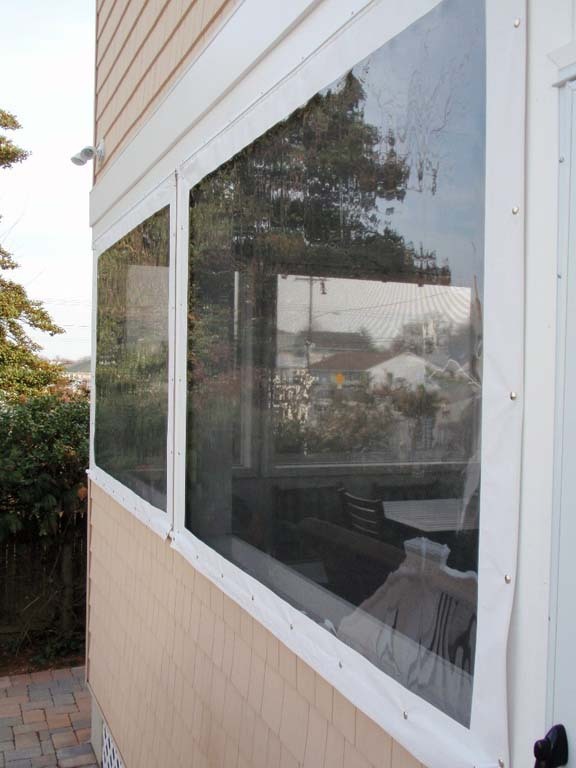 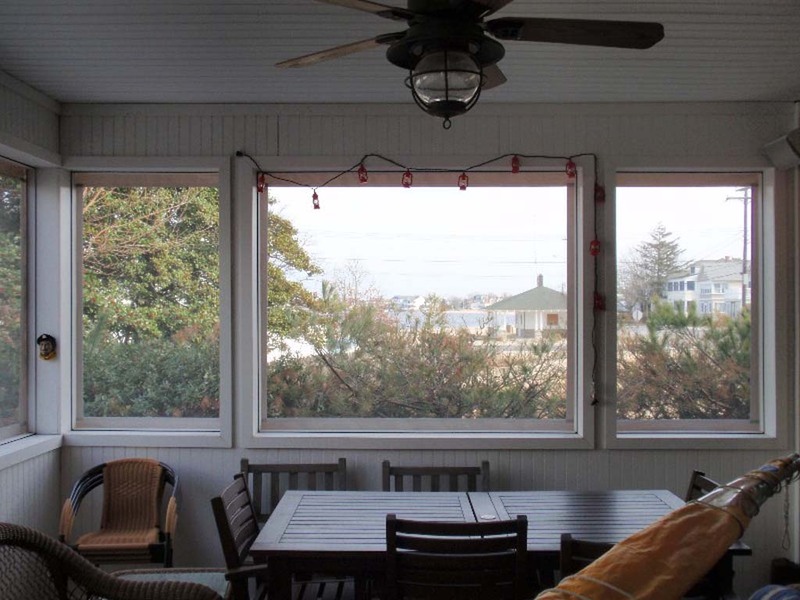 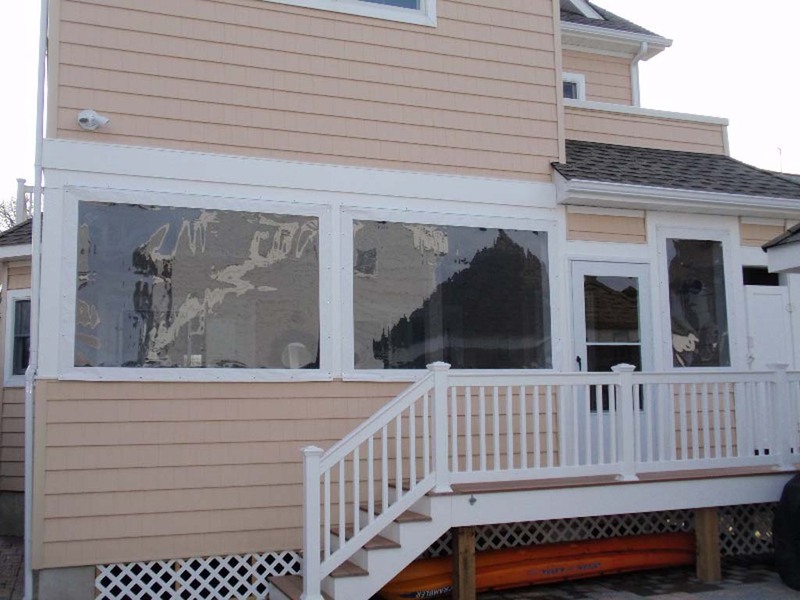 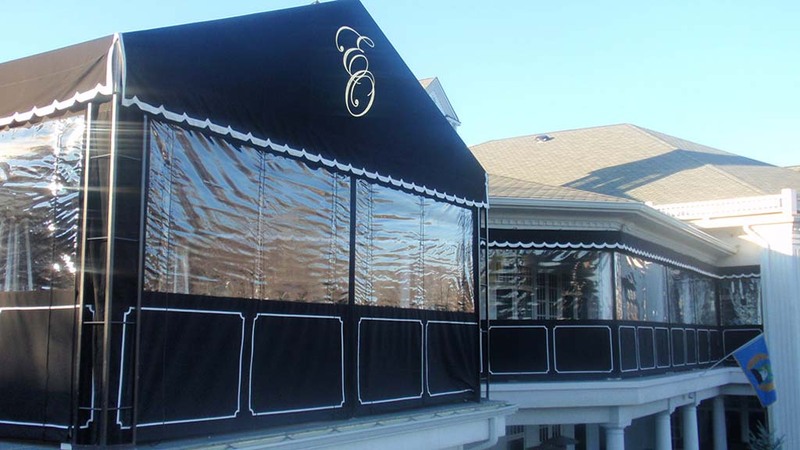 These Rigid Panels were fabricated from the clear Polycarbonate and were installed to act as a wind blocker for this porch. 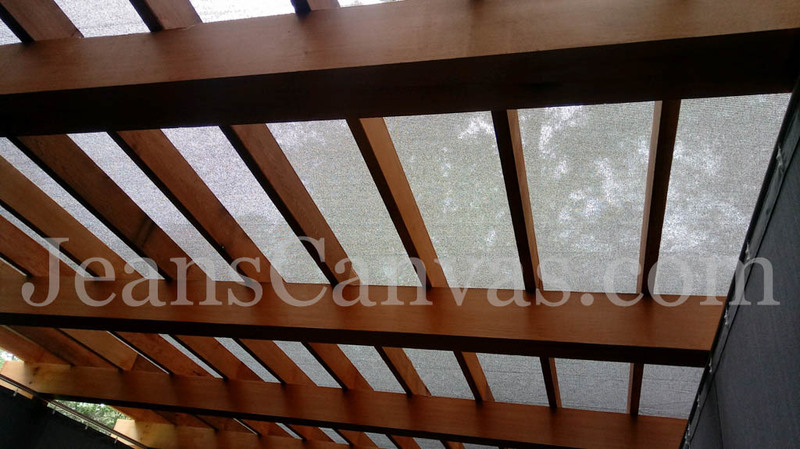 We can also provide panels for wind blocking in our clear 0.020 rollglass, 0.030 rollglass, 0.030 extruded and 0.030 sheet glass. 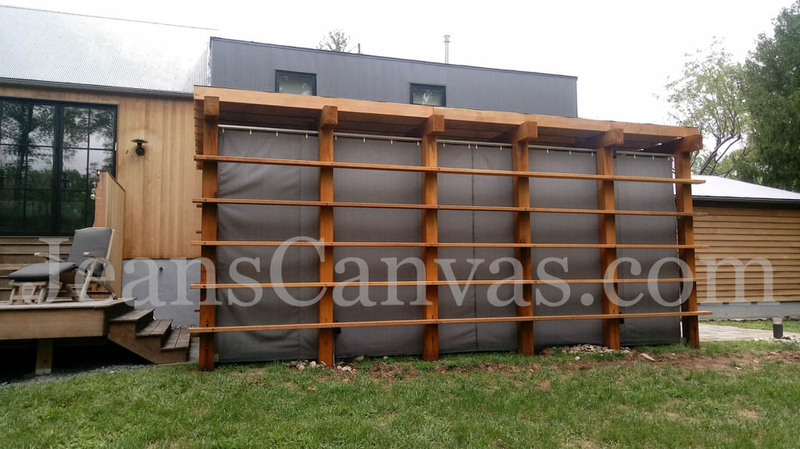 These panels can be installed and removed as the seasons change and stored easily. 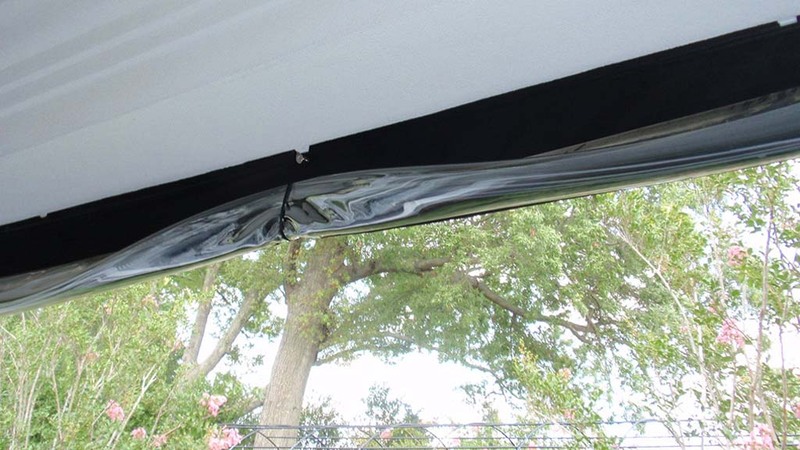 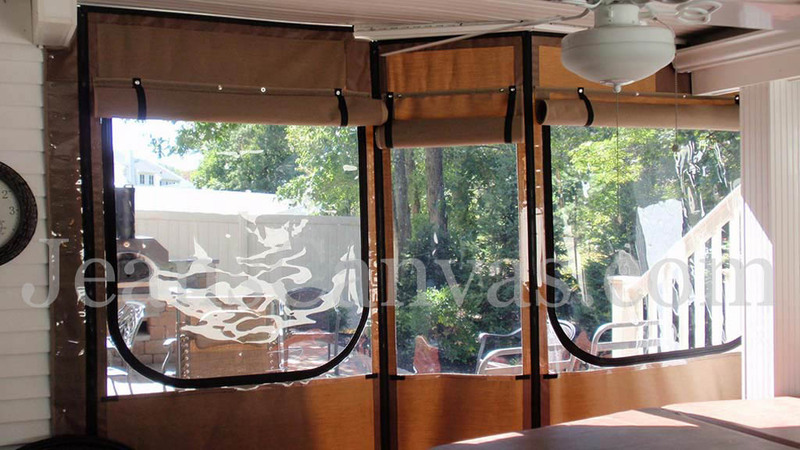 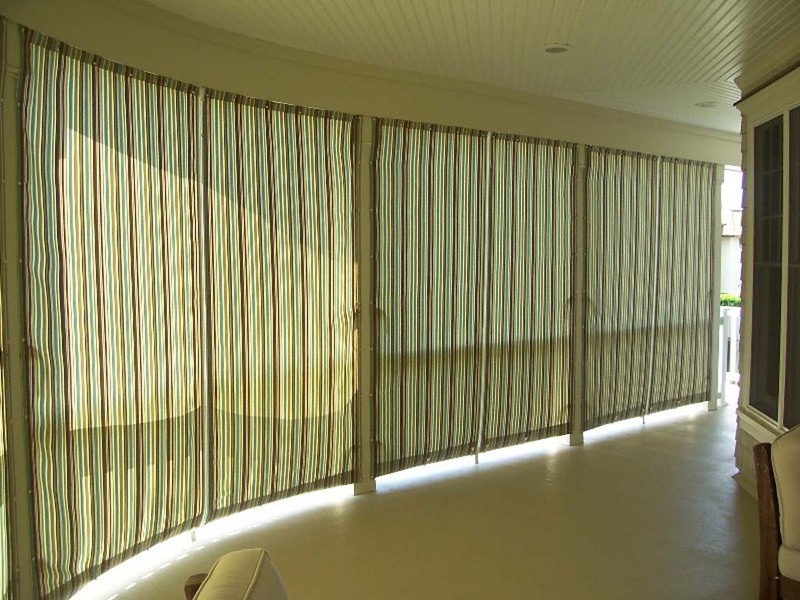 These Roll Up Curtains are designed using a rope and pully system and can be easily pulled up or down. 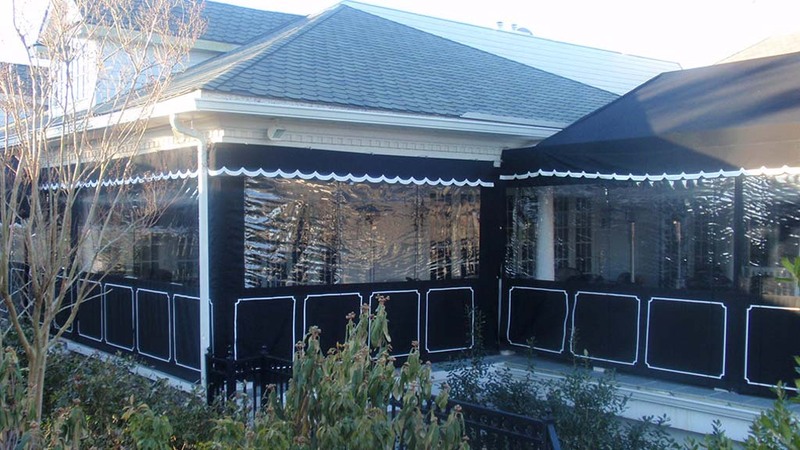 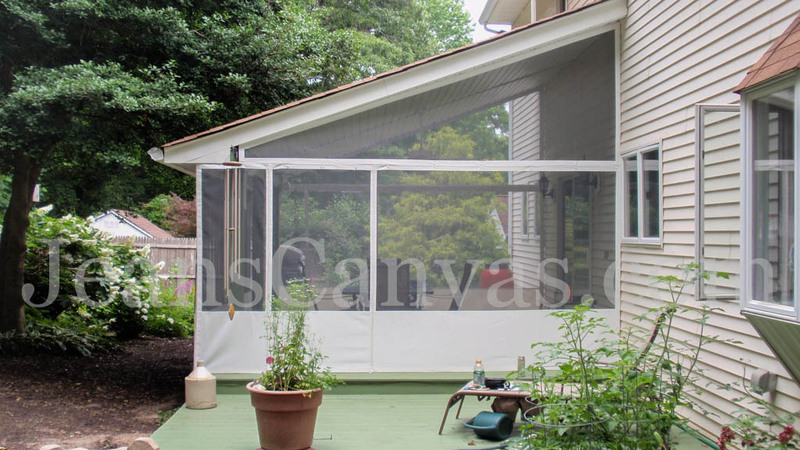 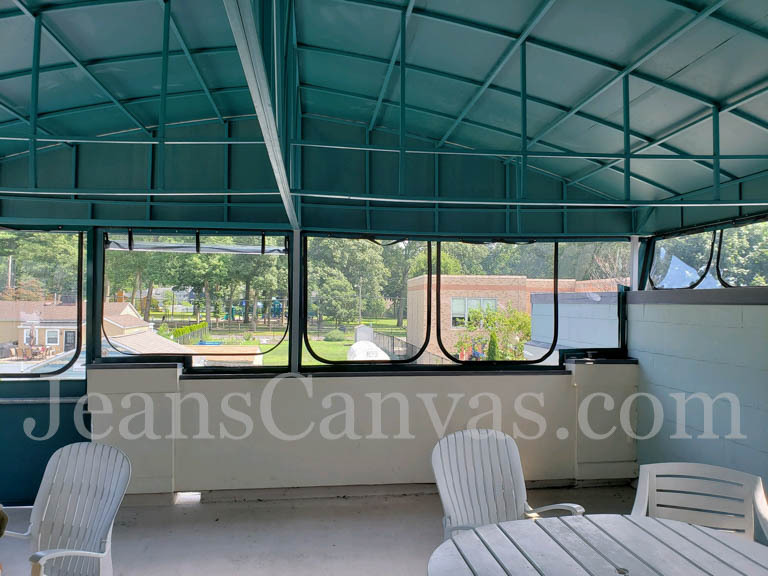 They can be fabricated using any combination of clear vinyl, solid fabric, or opaque mesh materiel.